It's no secret that Google's line of Chromebooks are popular, especially among educators, students and casual users. This is due in no small part to the devices' low price points and streamlined interfaces. Although Google has dominated this low-cost, productivity and education-focused laptop market for quite some time, Microsoft recently announced a few affordable competing devices of their own, some of which run the software giant's answer to Google's Chrome OS - Windows 10 S. For the unaware, Windows 10 S is essentially a stripped down version of Windows 10 that only runs apps downloaded from the Windows Store. 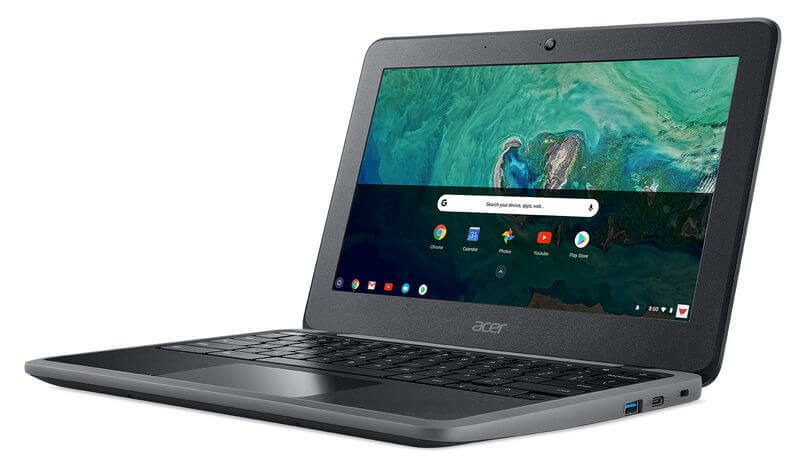 Not to be outdone by Microsoft, however, Google's Chromebook line-up is receiving yet another new edition, the Acer Spin 11. The Spin 11 will be one of the more powerful Chromebooks on the market, launching with hybrid tablet-laptop functionality and three different processor options: the Intel Celeron N3350 dual-core processor, the Intel Celeron N3450 quad-core processor and the Intel Pentium N4200 quad-core processor. Starting at $349, the Spin 11 will also give users the ability to choose between 32GB or 64GB of flash storage and 4GB or 8GB of RAM. These numbers, even without upgrading, are already higher than the average Chromebook but Acer isn't stopping there. Alternate Spin 11 models will ship with an optional Wacom stylus and an outward-facing camera. Fans of high resolution displays might be disappointed, however. The Spin 11 only offers a 1,366 x 768, 11.6-inch display. That said, the ability to choose between an IPS touchscreen, a standard non-touch TN display or a non-touch IPS display could make up for this shortcoming. If you can look past a less-than-crisp resolution, the first Spin 11s will be shipping out to North American consumers in March while Middle East, Africa and Europe-based users will receive the device sometime in April. Acer has not mentioned when (or if) the device will be receiving pre-orders, though.